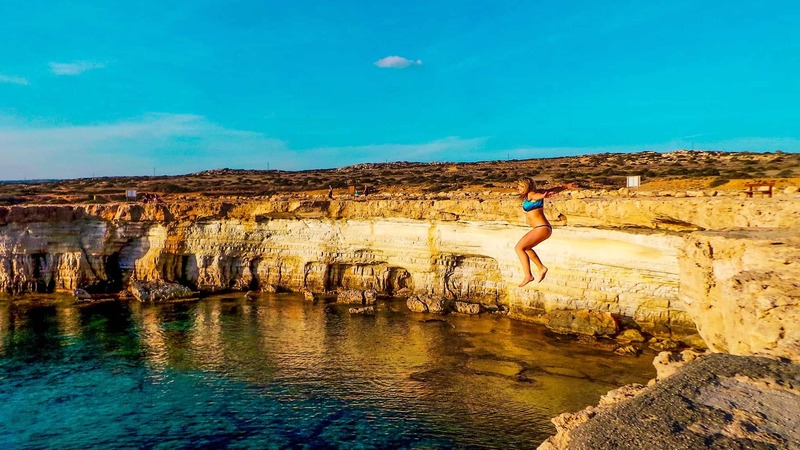 Blog Best of Cyprus: Why Everyone Should Visit the Country Now! We flew into Latvia in late September. Fall time in the Baltics, it can’t be that cold…or so we thought. Over the past few months, we had saved and stocked up on expensive outdoor equipment to prepare for winter time in Europe. I didn’t think I’d be breaking out the Patagonia jacket until at least November. I kept telling myself not to worry, I had been in Europe before, and was totally prepared for the cold weather. One day into October and I had already busted out my Patagonia, doubled up my leggings, and ran to the supermarket to buy the cheapest slippers possible. Our next destinations – Lithuania and Poland, were beautiful and honestly everything that we expected and more. However, the weather never got warmer, the sun did not shine brighter, and one October day I woke up and saw it…snow. Not being one to ever handle cold weather well, we canceled all plans for the day and set out for the nearest coffee shop. I hopped on Skyscanner and noticed a $60 Ryan Air flight from Krakow to Paphos, Cyprus. After trips to both Greece and Turkey, I knew that the island of Cyprus was high on the list of places to visit. It’s a place where not many Americans travel to, and I had heard little to no first-hand information on the country. We were determined to find the best of Cyprus, and all that it had to offer. Heading over to Holiday Weather, I noticed that Cyprus had an 80% chance of a sunny day in October and a 61% chance in November. That was a higher chance than almost anywhere else I had found in Europe. Actually, the weather is consistently sunny all year, and rain days are extremely rare. The sunshine may just be the very best of Cyprus. You know what they say Suns out buns out. 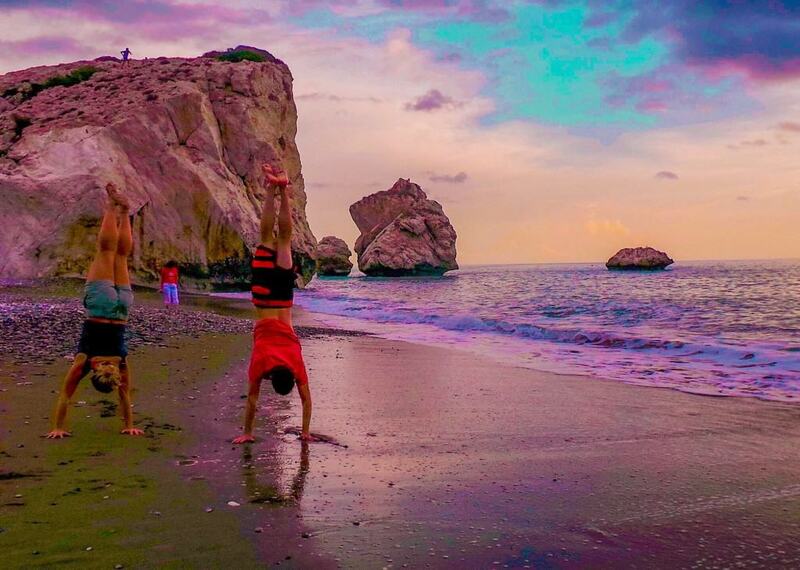 The island of Cyprus has all kinds of beaches to please every kind of traveler. Crowded beaches, white sand beaches, quaint beaches, and party beaches. From Nissi Beach to Coral Bay, you won’t be disappointed. In fact, you may even be a little overwhelmed by all your options. 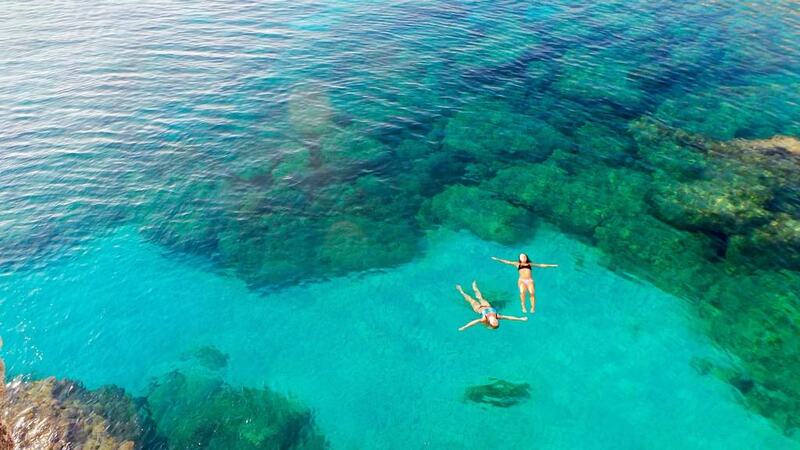 Grab your bikini and go to Cyprus. Itching for an adrenaline rush? Cape Greco near Ayia Napa features over 10 meter high cliffs that are great for jumping and diving (if you’re brave) off of. Jumping off of these will give you a serious rush. If you’re not much for heights there are many great hikes and wildlife throughout the region. Your heart will surely thank you once you incorporate a Mediterranean diet. Who doesn’t love local olive oil, flavorful hummus, and fresh pita bread? It’s hard to narrow down a must-eat in Cyprus because the local cuisine is all great and fresh. There are certain Cypriot specialty dishes not to miss, make sure to try halloumi cheese and lamb kleftiko! 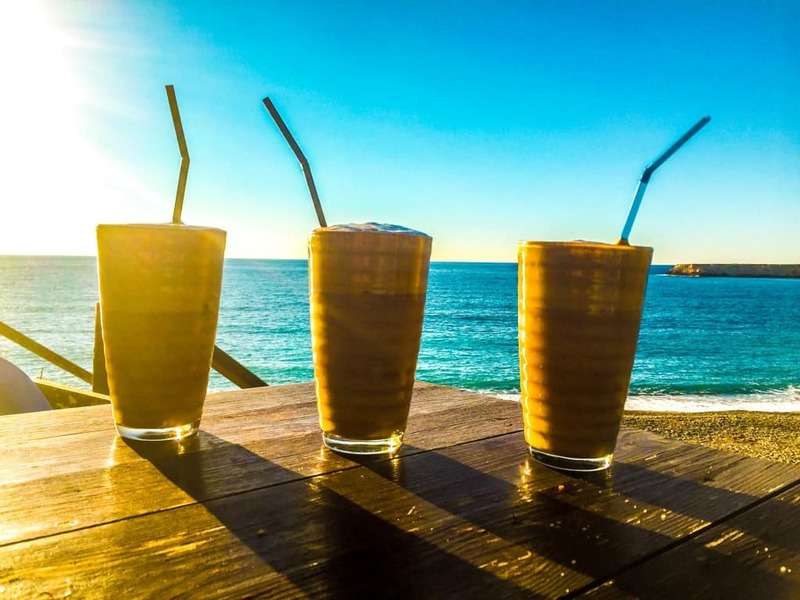 Traditional Cyprus coffee is no joke and is something that should certainly be had while on the island. Coffee is brewed in small, long-handled pots, and is served in teacup sized glasses. The coffee is quite strong but you can choose to have it either medium or sweet and it is always served with a glass of water. If something lighter is more your fare, opt for a frappe, a delicious concoction of Nescafe, milk, sugar, and water blended together. Cypriots do take their coffee very seriously, with the coffee shops usually being more packed than the bars. Yasas! There is no shortage of smiling Cypriots on the island. Locals are friendly, welcoming, and very hospitable. Greek is the most commonly spoken language on the island, so brushing up on a few words will get you far. If not, then don’t fear, most Cypriots will be happy to converse with you in English. If you’re a history buff, then visiting the island of Cyprus should certainly be on your radar! Cyprus has had a long and complicated past, ruled by many different empires for over 3000 years. 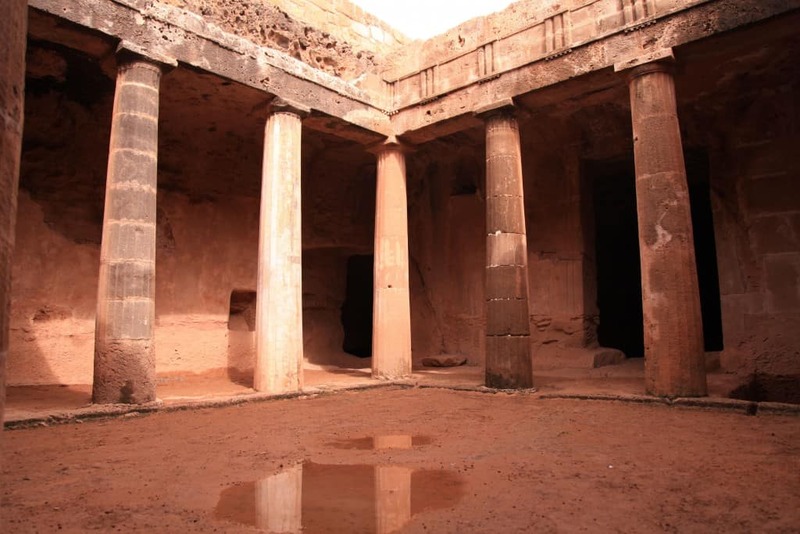 There are many archeological sites like the Tomb of the Kings, Kato Paphos Archaeological Park, and Amathus to explore. The two main nationalities that make up the island of Cyprus – Greek Cypriot and Turkish Cypriot. The two main languages spoken are Greek and Turkish, although the majority of Cypriots speak impeccable English. You could travel to both Greece and Turkey, or you can just explore Cyprus and experience both cultures! 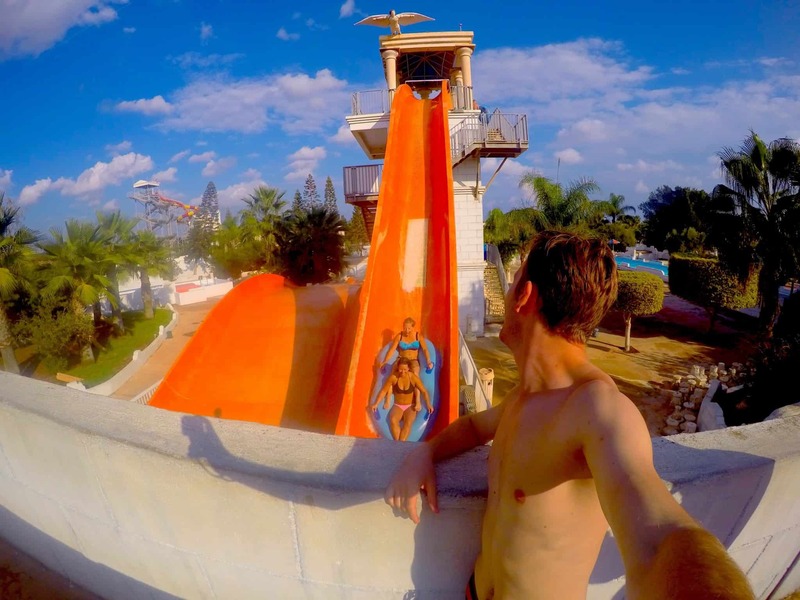 If you’re getting a little restless laying on the beach drinking daiquiris then head over to one of Cyprus’s many waterparks! Families, friends, and children alike can enjoy the thrills and spills at the waterpark. Go in the off season to enjoy instant access to the rides as there are virtually no lines. This is a bonus for backpackers touring Europe for an extended period of time. If you need a refresher on the Schengen Visa then read my post on it here. The island of Cyprus is outside of the zone, so it will not count against the 90 days you are given while traveling most of Europe. It’s not over yet! For cat people, the best of Cyprus is just about to be mentioned. 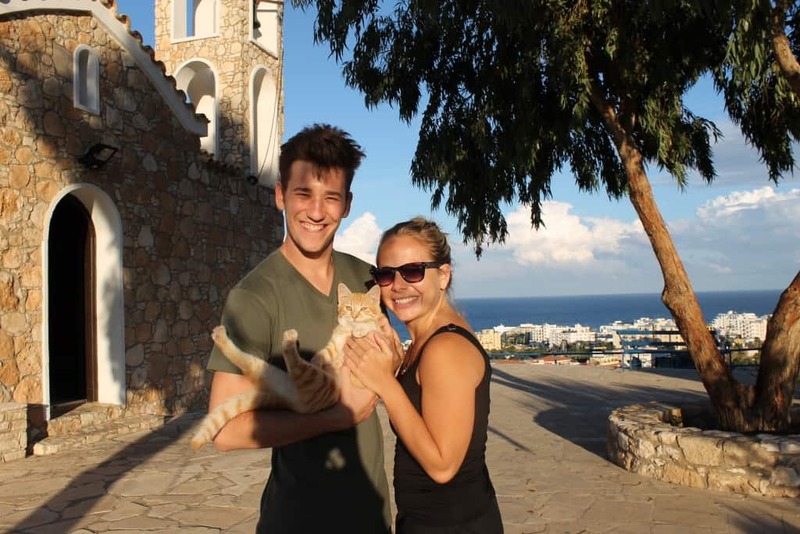 There are cats everywhere on the island of Cyprus! They roam the streets during all hours and will never turn away some human love (or food). I normally hate seeing stray animals, but the weather is so mild and people so friendly there is no doubt in my mind that most of the island cats are treated like royalty. We found ourselves a new friend! Visiting Cyprus anytime of the year will not leave you disappointed. So what are you waiting for? Cyprus can even be done on a backpackers budget! Flights to Cyprus: Compare airlines, dates and prices all in one place with Skyscanner. Guide Book: Sometimes it’s just nice to have a book on you! Have you been to Cyprus? 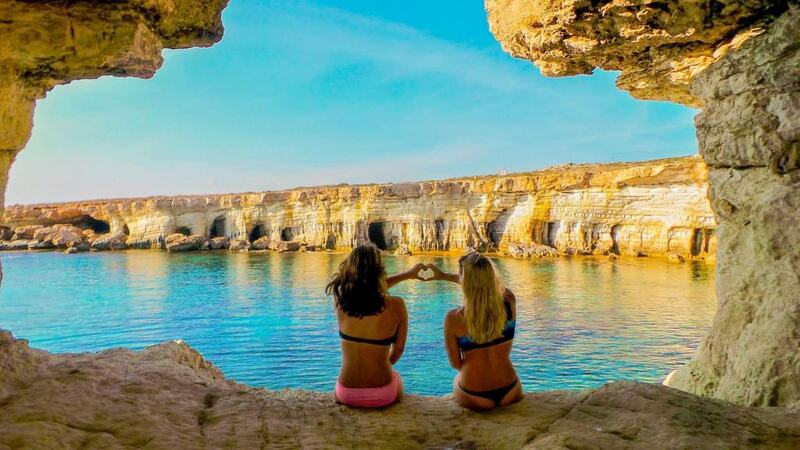 Let us know what your favorite things about visiting the island of Cyprus are below!